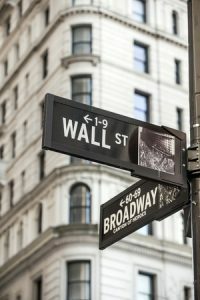 Brian Brandenburg, of Dayton, Ohio, allegedly sold unregistered non-exempt securities, according to a pending Customer Dispute filed on Brandenburg’s FINRA BrokerCheck Report under review by investor rights attorney Alan Rosca. Said dispute was filed on August 29, 2018, FINRA states, and is requesting damages of $245,000.00. Investor rights attorney Alan Rosca, of the Goldman Scarlato & Penny PC law firm, is investigating activity related to Brian Brandenburg’s alleged sale of unregistered non-exempt securities. Investors who believe they may have lost money in activity related to Brian Brandenburg’s alleged sale of unregistered non-exempt securities are encouraged to contact attorney Alan Rosca with any useful information or for a free, no obligation discussion about their options. Brian Brandenburg, of Dayton, Ohio, was recently discharged by Transamerica after the firm became aware that the Representative had referred two customers to an outside entity for investment purposes, according to an Employment Separation Disclosure filed on December 14, 2018 under review by investor rights attorney Alan Rosca. Brian Brandenburg is facing 2 Disclosures, and has fifteen years of experience in the securities industry with 2 firms, FINRA notes. Brian Brandenburg was registered with Transamerica Financial Advisors, Inc. in Dayton, Ohio from January 6, 2012 until December 14, 2018, and also worked with World Group Securities, Inc. in Dayton, Ohio from July 16, 2003 until January 6, 2012, FINRA reports. Brian Brandenburg is not currently registered with brokerage firm, FINRA notes. Brandenburg is a registered broker and investment adviser in only one US state, Ohio, and one self-regulatory organization, FINRA, FINRA states. Transamerica Financial Advisors, Inc. financial professionals reportedly may only transact business in states where they are registered, the firm states. The Goldman Scarlato & Penny PC law firm represents investors who lose money as a result of investment-related fraud or misconduct and are currently investigating Brian Brandenburg’s alleged sale of unregistered non-exempt securities. The firm takes most cases of this type on a contingency fee basis and advance the case costs, and only gets paid for their fees and costs out of money recovered for clients. Attorney Alan Rosca, a securities lawyer and adjunct professor of securities regulation, and has represented thousands of victimized investors across the country and around the world in cases ranging from arbitrations to class actions. Investors who believe they lost money as a result of Brian Brandenburg’s alleged sale of unregistered non-exempt securities may contact attorney Alan Rosca for a free no-obligation evaluation of their recovery options, at 888-998-0530, via email at rosca@lawgsp.com, or through the contact form on this webpage.